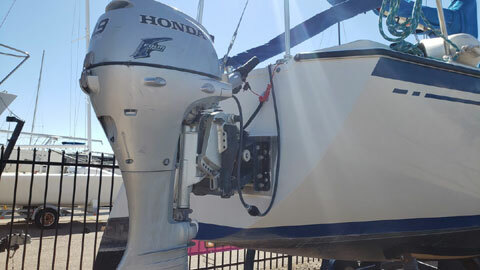 She is fitted with a Honda outboard, sits on a sturdy dual axle trailer and simple to set up. 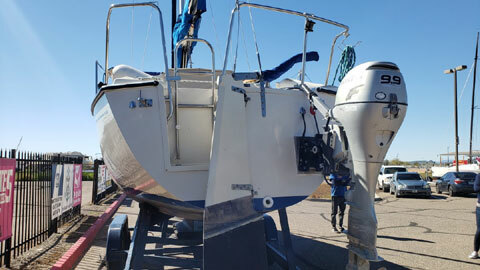 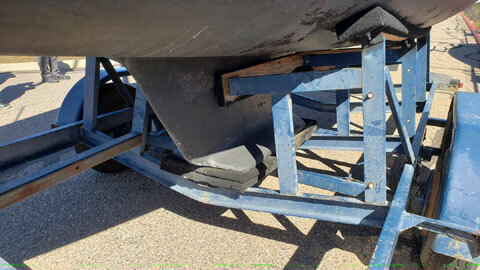 Wing keel, 9 foot beam and displaces 5375lbs. 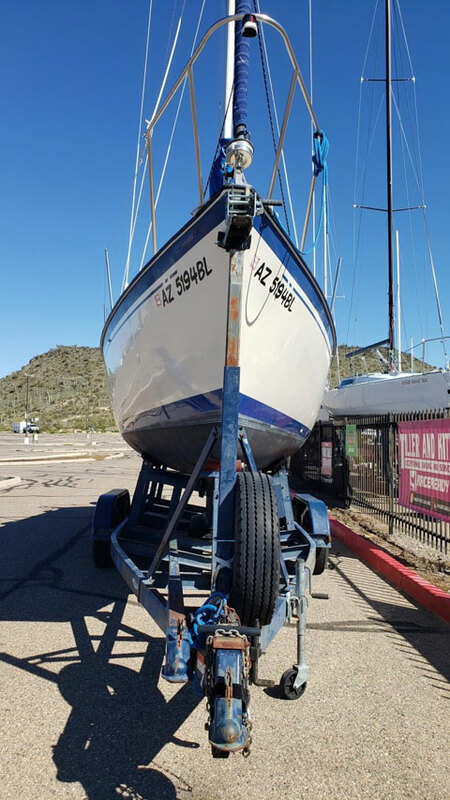 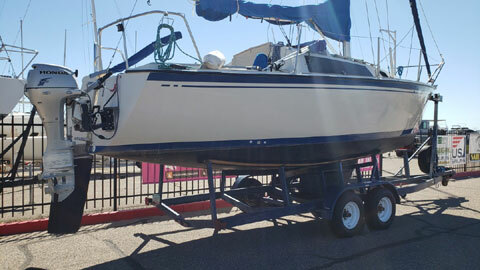 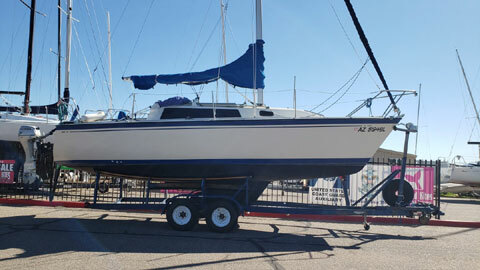 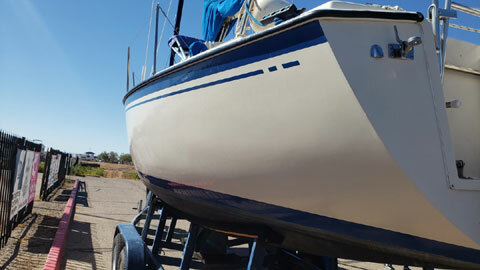 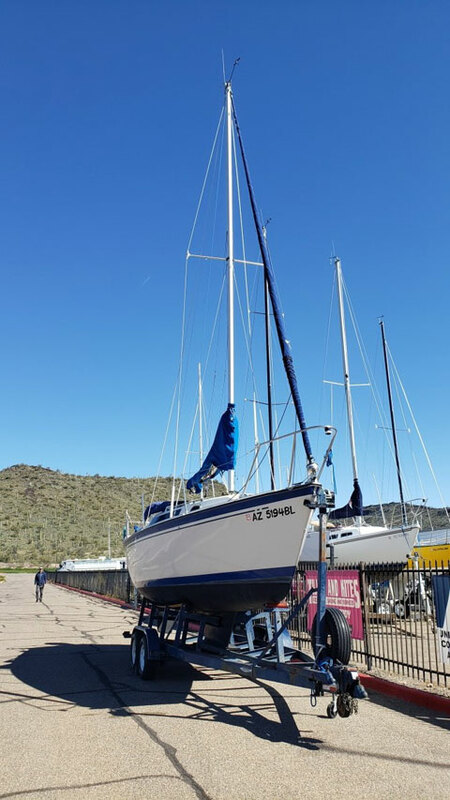 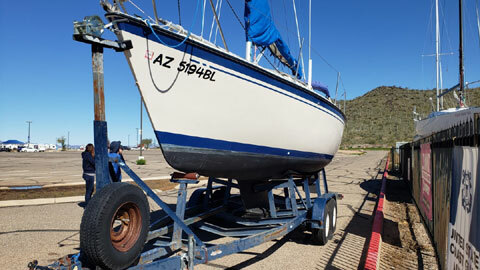 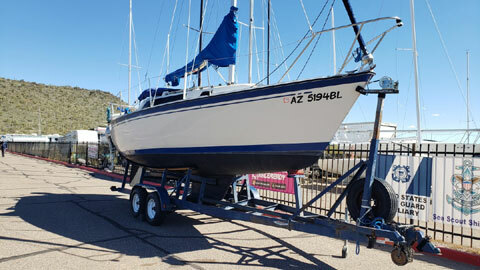 She can be seen at Tiller and Kites at Pleasant Harbor, Lake Pleasant (Phoenix) Arizona.